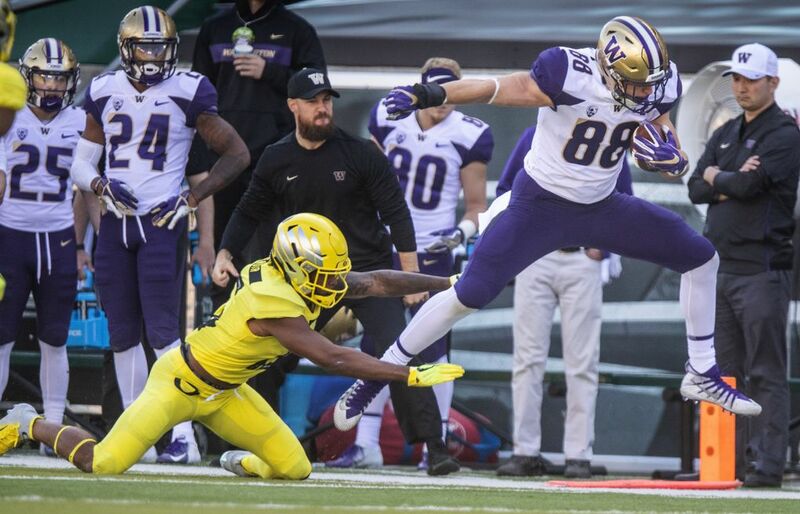 The Huskies' field goal in overtime wasn't enough to knock off the Ducks, who scored a TD to win it. 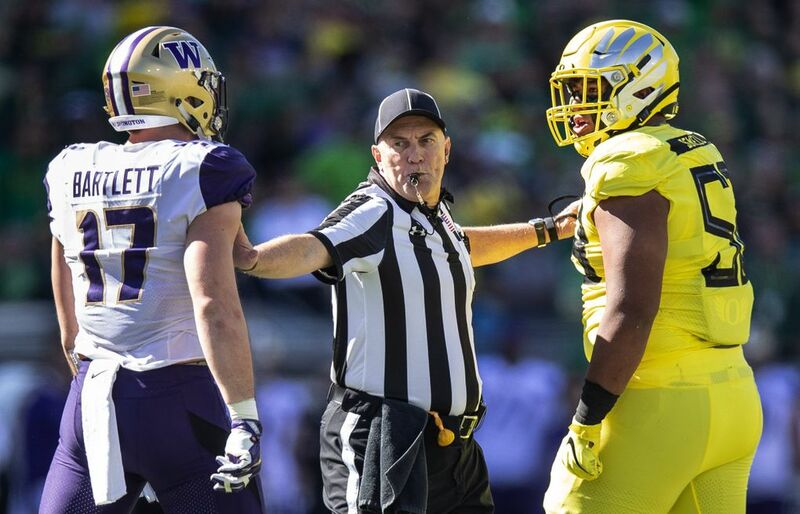 Here are Adam Jude's first impressions from the day in Eugene, Ore.
Only once since 2000 has the Washington-Oregon rivalry game come down to the fourth quarter. 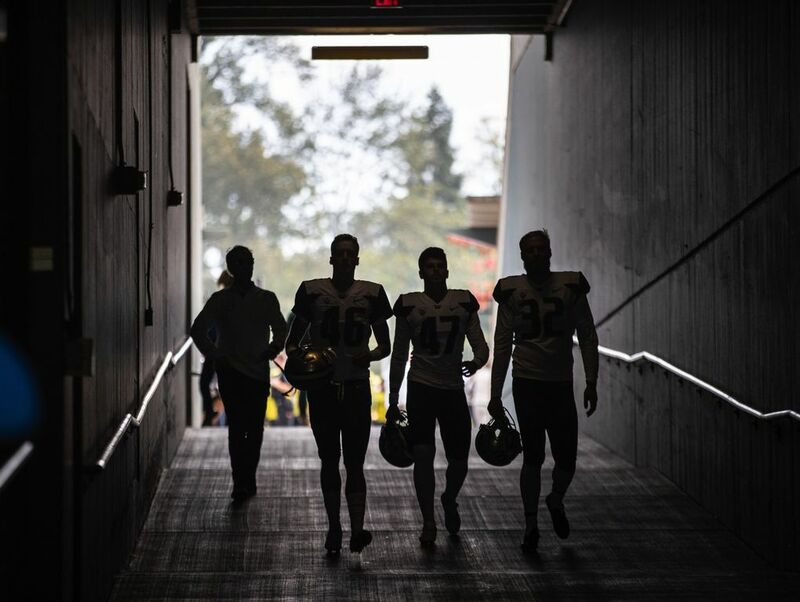 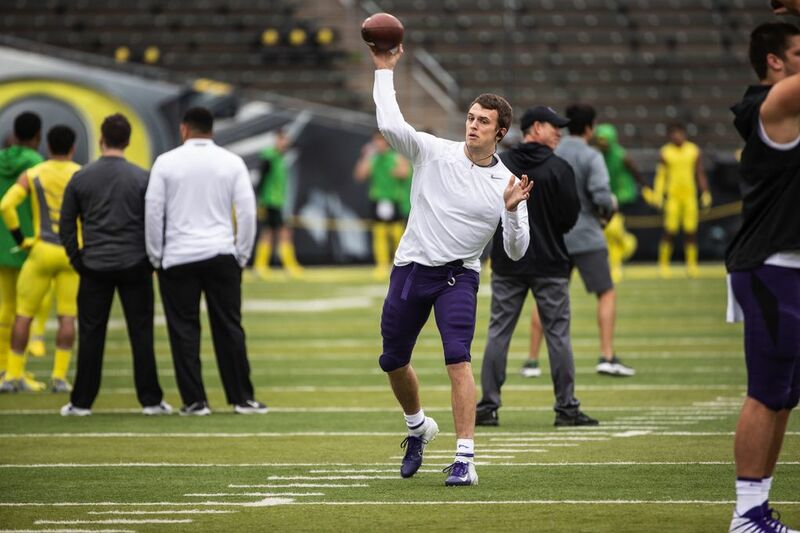 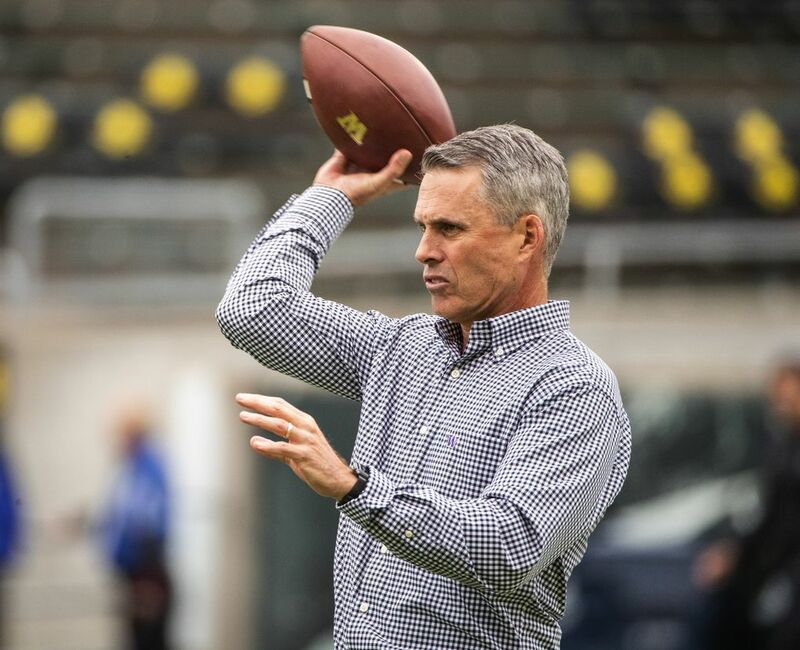 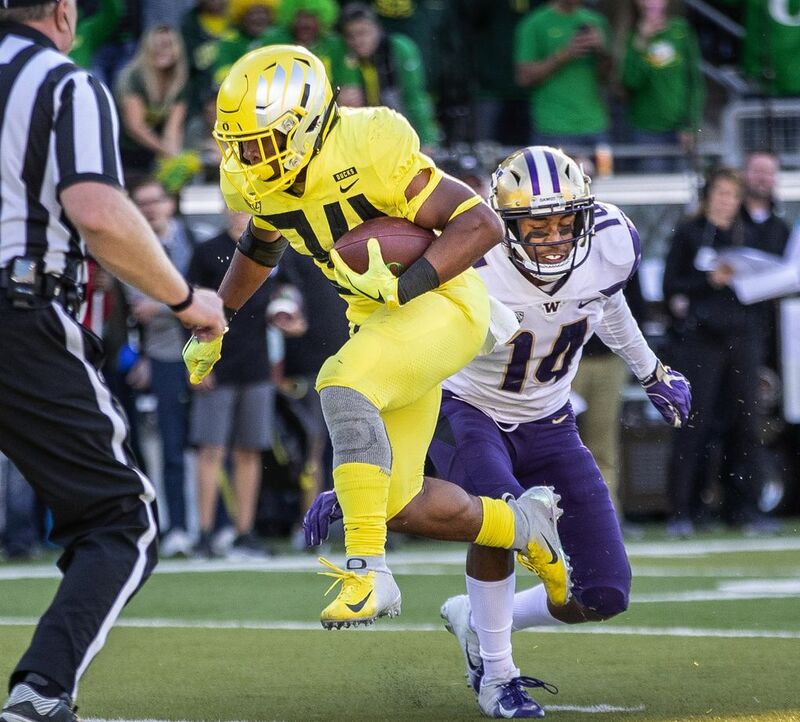 For much of the past two decades, the trend had been one side dominating the other — with the Ducks winning 12 in a row, then the Huskies winning the last two by a combined score of 108-24. 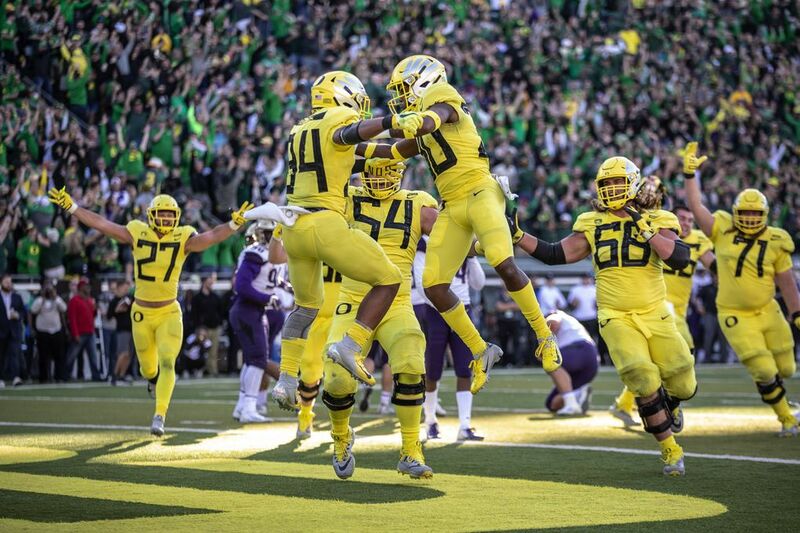 Finally, we had a four-quarter ballgame (and then some) — and it was a mighty good one. 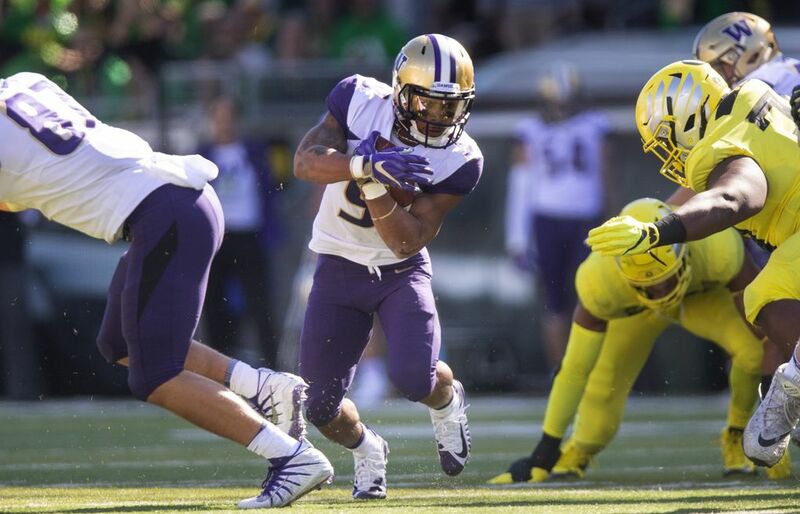 Washington, playing without star running back Myles Gaskin (shoulder) got the ball back with 5:05 left at its own 7-yard line with the score tied 24-24. 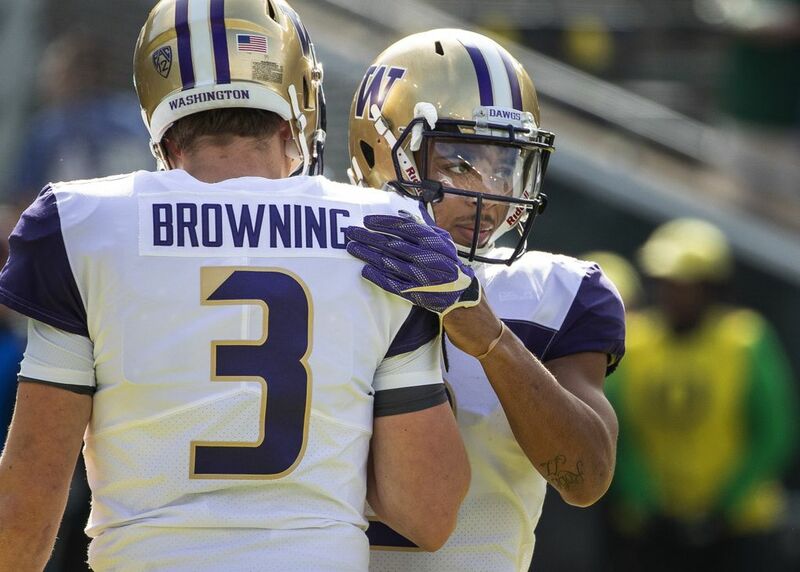 Jake Browning then directed the Huskies on one of the most impressive fourth-quarter drives of his career, the biggest play a 4-yard completion to running back Sean McGrew on fourth-and-3 with less than a minute to play. 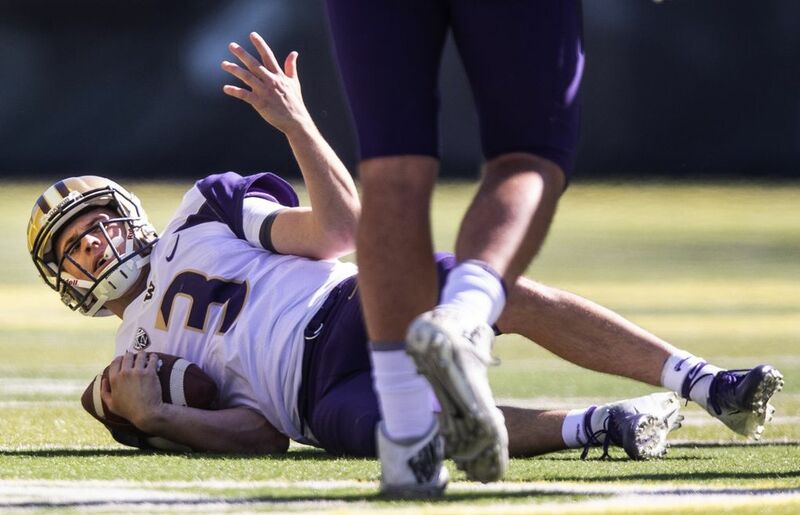 That helped set up a 37-yard field-goal attempt for UW redshirt freshman Peyton Henry, but after being iced twice on Oregon timeouts Henry’s attempt sailed wide right as time expired. 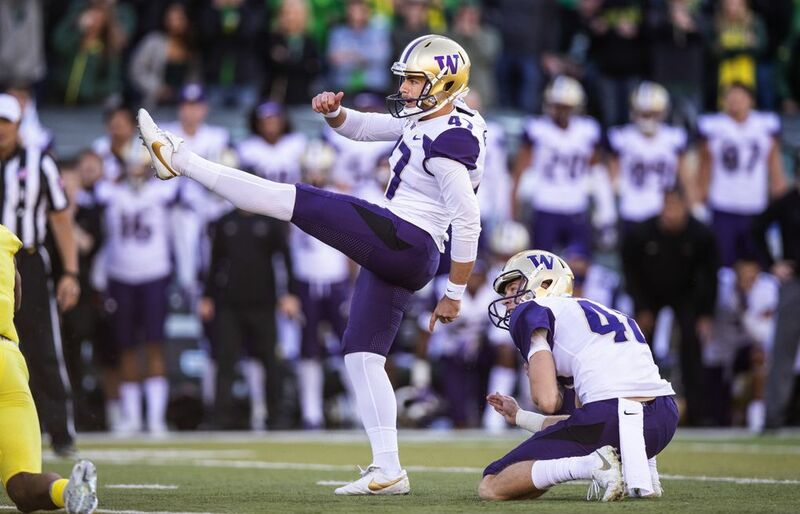 In overtime, Browning’s third-down pass intended for Ty Jones was too high in the right corner of the end zone, forcing the Huskies had to settle for 21-yard field goal from Henry. 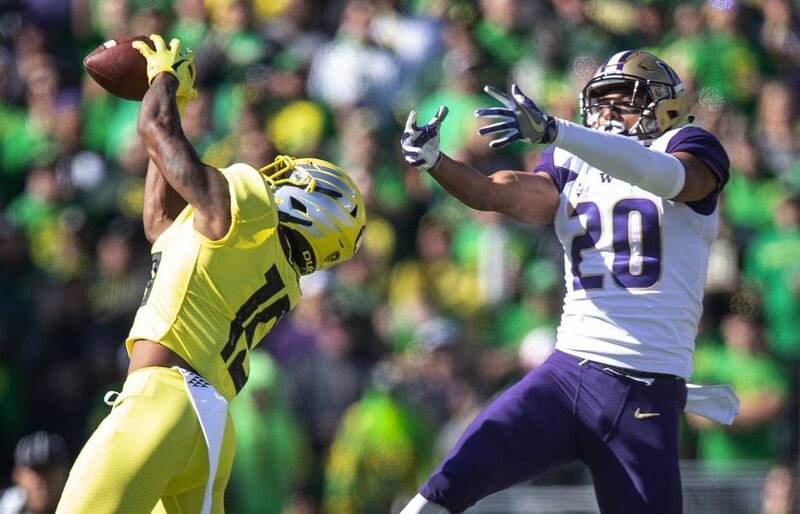 That gave Washington a 27-24 lead, but Oregon came back with its overtime possession and won it on CJ Verdell’s 5-yard touchdown run. 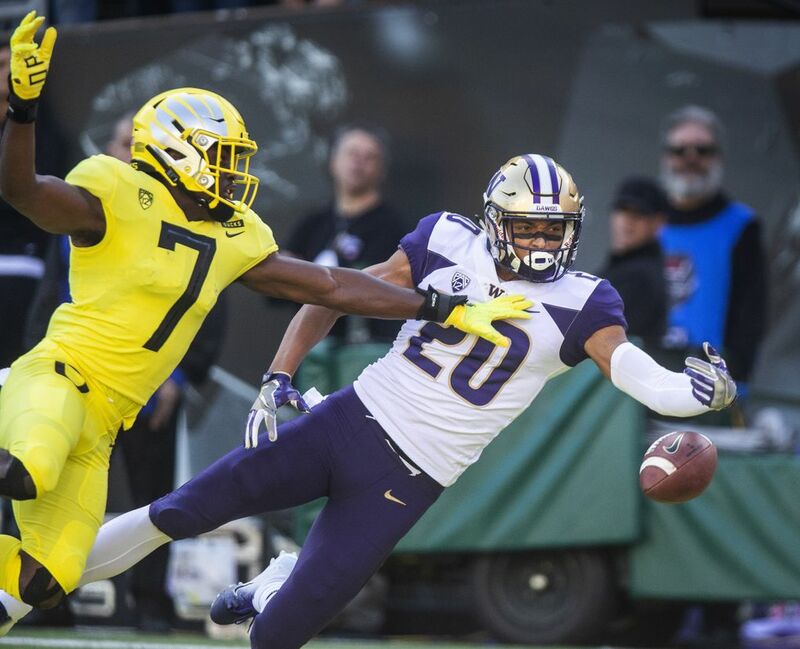 With the score tied 24-24 midway through the fourth quarter, a targeting call against Washington senior defensive lineman Jaylen Johnson gave Oregon a first down at the UW 37-yard line. 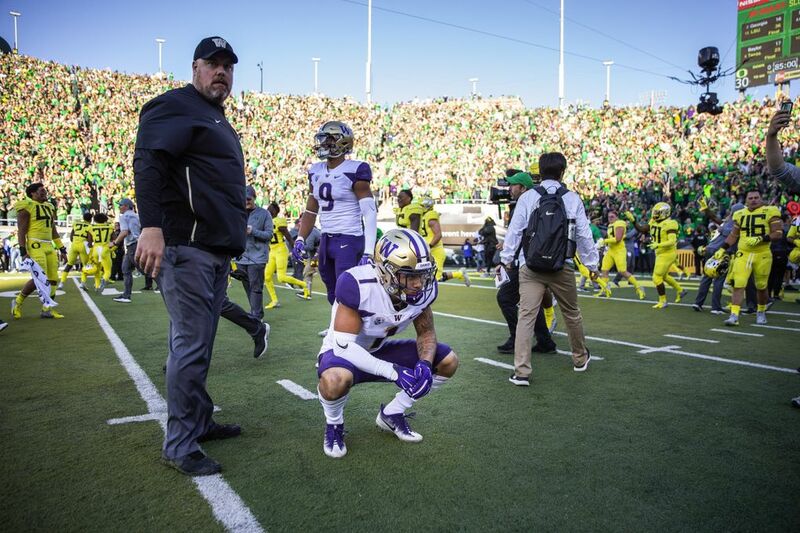 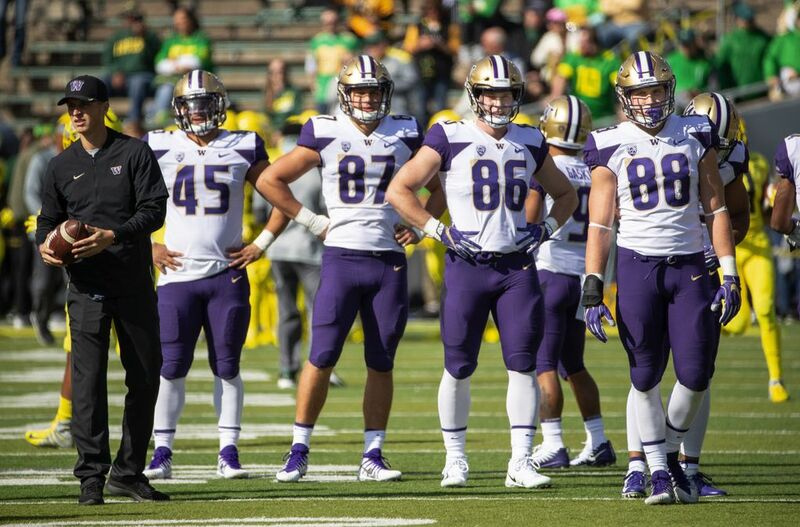 The Ducks then got to the UW 27-yard line before the Huskies defense showed up with back-to-back big plays. 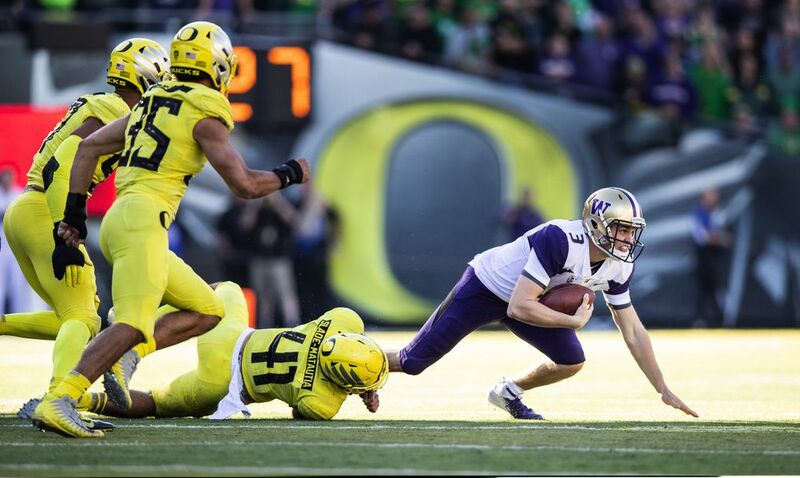 First, it was a tackle for loss from junior safety Taylor Rapp on a QB run from Justin Herbert. 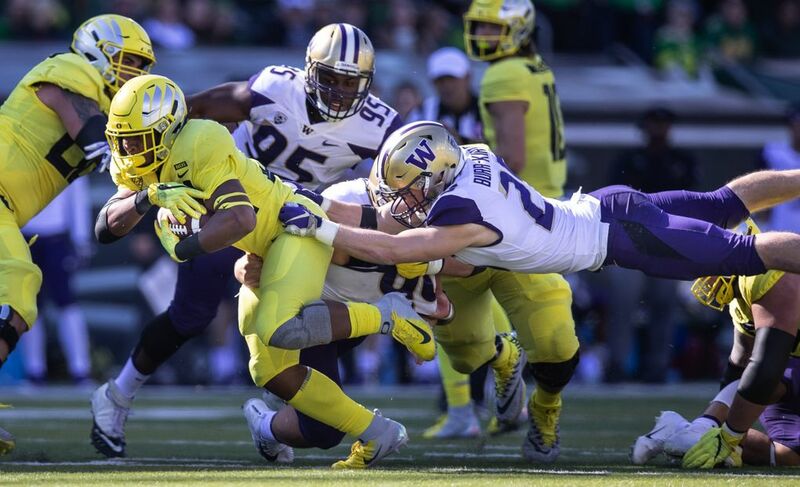 Tevis Bartlett then got to Herbert for a sack and a loss of 5 yards, pushing Oregon out of field-goal range. 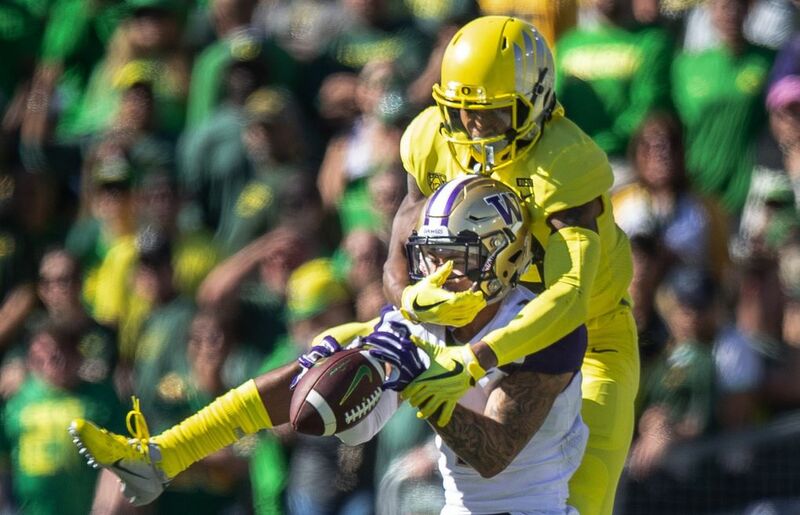 Herbert followed with an incomplete pass, forcing Oregon to punt the ball back to the Huskies with 5 minutes left. 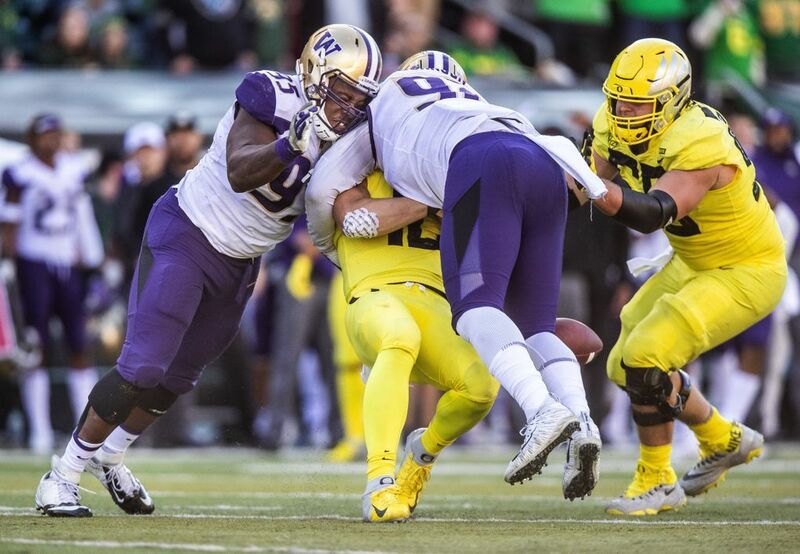 The Huskies turned to third- and fourth-string running backs Sean McGrew and Kamari Pleasant for key stretches in the second half and overtime after injuries to senior Myles Gaskin (shoulder) and sophomore Salvon Ahmed (leg). 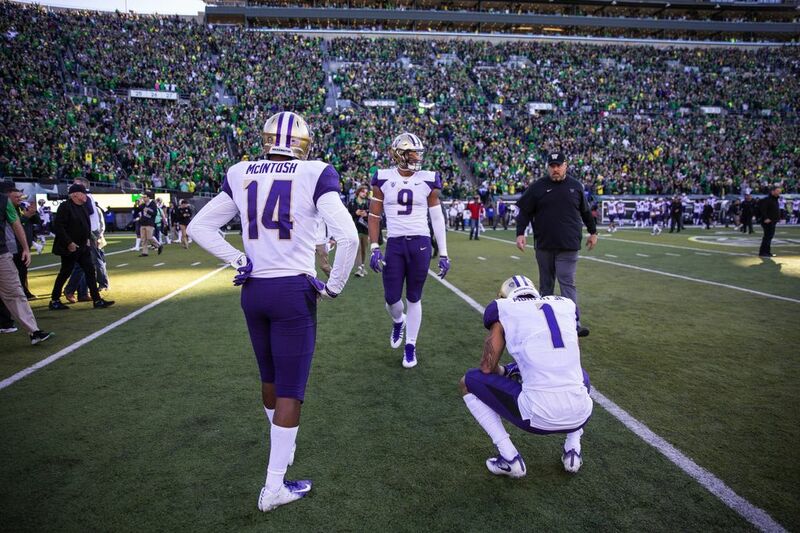 Both Gaskin and Ahmed return to the field but were limited. 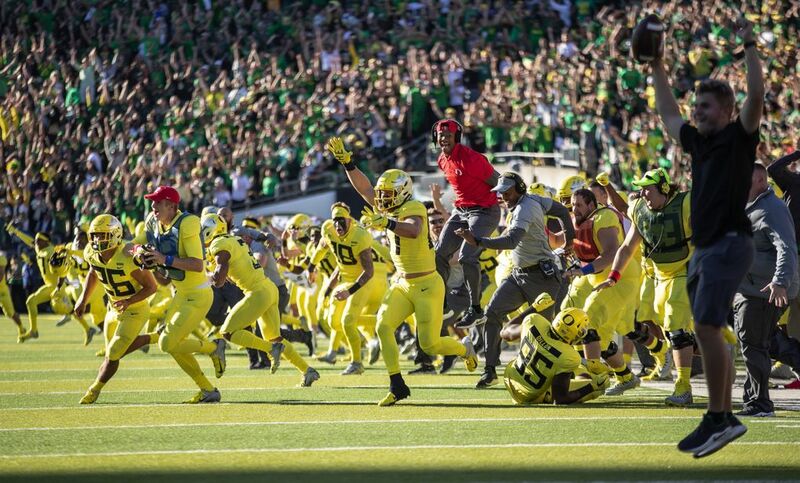 There was no immediate word on the severity of their injuries. 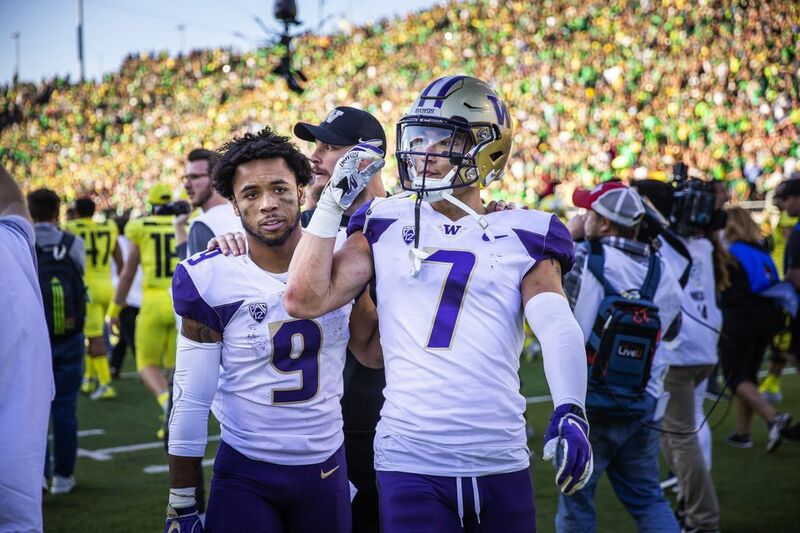 McGrew came up big on the Huskies’ final drive of the fourth quarter, then Pleasant got the call in overtime, opening the extra session with a 19-yard run. 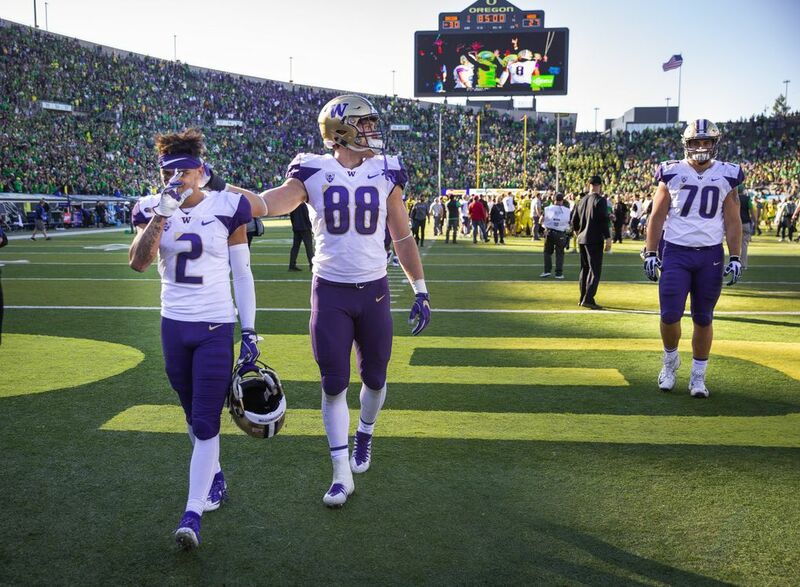 In the second half, the Huskies were also without senior cornerback Jordan Miller, who appeared to sustain a leg injury in the second quarter.